Recently, “Food and Eating” has become one of the most popular contents in various media. As well, pictures of food also have become the most frequently uploaded items on Social Networking Sites. On the other hand, many Non-Governmental Organizations (NGOs) have kept working on the campaigns, appealing the public to help poor and starving kids in Africa. There are people enjoying meat while other people are enjoying vegetarian diets. Some people say that eating with joy would not bring any guilty-mind while others say eating light is a virtue. Besides, many healthy foods from all over the world are being introduced through various media. 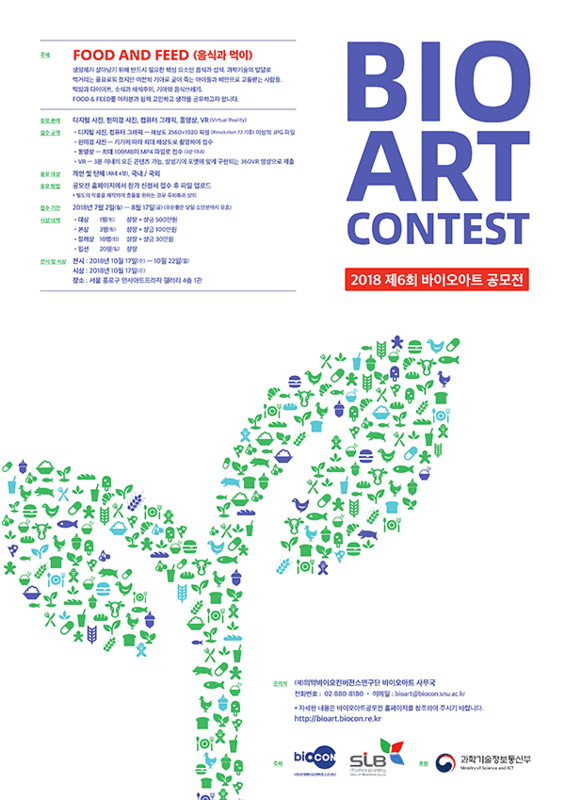 At Bio-art Contest 2018, we are planning to have time to share and contemplate various problems around ‘Food and Feed’ that the world is facing today. Entry Qualification: The contest is open to anyone and entry is free. Find details here. 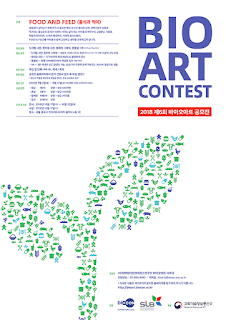 The contest has six (6) categories: Digital Photography, Microphotography, Computer Graphic, Video. VR (Virtual Reality).